When the bright lights go on, is when stars shine. It’s when all eyes are watching that stars become stars. 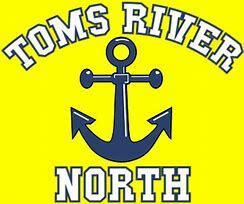 Brielle Bisogno and Jenna Paul have been stars since they put on a Tom River North uniform. Yesterday they did what they have been doing there entire careers…show up on the big stage. Yesterday, a few under studies also showed up on stage. It was why, last night TRN cruised to victory over Jackson Memorial and took a commmanding 2 game lead in A SOUTH. Numbers and stats are overrated. What matters is can you get you numbers in the real games. The games that matter, the games that determine your future. The real games are the true measuring stick of a player. Stats in blow out games against weak competition is for birds. Stats on the big stage are for stars. TRN’s two stars got their numbers last night. Brielle Bisogno in the first half was sensational. She had 13 points, but it was how she got them, that was so impressive. She buried deep threes, she drove to the basket, she hit pull up jumpers and stole the ball. She scored at every level known to basketball. She set the tone for her teammates. She wanted her teammates to know, there would be no repeat of last year’s upset lost. Freshman Sydney Howell was asked to play on the big stage last night. The thinking was play solid minutes, limit your mistakes and TRN will run to the bank with that. So in the first half Howell showed the poise of a seasoned vet. She took care of the ball, made nice passes to the post and played lights out defense. She also found time to knock down a three. Kristina Johnson was a rock in the first half half. She gobbled up rebounds and made a few good passes. Both we’re playing with real purpose. Jenna Paul had six points in the first half and it’s seemed JAX Mem had her under lock and key. TRN it seemed had everything going it’s way. Except Dani Evans is a big fan of the spotlight as well. While TRN was trying to run away from Jackson in the first half, Dani Evans was having none of that. Dani Evans who had 25 points in Jackson’s last game, put her team on her back. She did everything except sell popcorn in the 2nd quarter. It was she that some how keep the game close in the first half as TRN led by four. In the 3rd quarter Dani Evans decided enough was enough. She came out of the lockerroom with her super woman cape on. Dani Evans put on a show for the Jackson crowd. She hit deep jumpers, pounded the offense boards. Drove thought traffic, forced turnovers in the open floor and was unstoppable. Then her side kick Brianca Giordano joined the party. What’s a party without friends? Giordano, showed TRN, there not the only ones who like big games. Giadano it seemed dropped magical dime after magical dime, then she got on her defensive horse forcing TRN’s guards to lose control of the game. 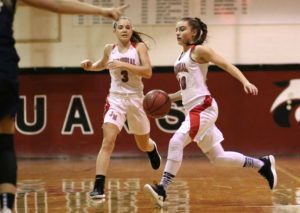 The two totally had TRN rattled and when Kristina DONZA got on board and buried a three for her first points of the night. It gave Jackson its first lead of the night, 35-32. Evans and Giordano had personally willed Jackson, it seemed back to the promise land and DONZA was there to meet them with a helping hand. But it’s funny superstars have a competitive nature that is different than most….JACKSON would soon find this out. In the third quarter it started with a little follow up bucket on a missed shot. Then a tough drive to the basket for two free throws. Then she hit a jumper from the Tom’s River parking lot. Then after DONZA’s go ahead three with time winding down, JENNA PAUL hit a step back three at the buzzer to give TRN the lead after three quarters . 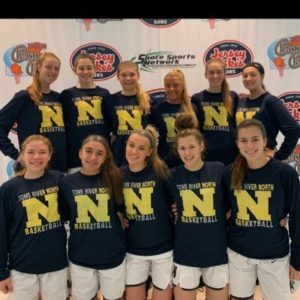 Jenna Paul reminded everyone who the best player in A South is and it set the wheels in motion for TRN to introduce its new stars. The start of the 4th quarter saw baby Sydney Howell grow up. First Jenna Paul dropped her a dime and then Kristina Johnson, said hello with another dime to Howell for a second consecutive three ball and Just like that, a baby had Jackson on the run. But what nobody may have noticed was Howell was doing more than dropping bombs on Jackson head. She was boxing out, tipping balls, running back on defense. In other words, doing all the little things. So when Jenna Paul hit another bomb early in the middle of the 4th it was ‘good night gracie” for Jackson Memorial. Then with a minute left in the game VICKI GILLEN, gotdown right mid-evil on Jackson. . She called a time out up by nine. Everyone just knew her team would spread the floor and hold the ball. Instead BRILLE BISOGNO caught Jackson napping and drove to the basket for a easy bucket. It was her last bucket of the night. She finished with 22 points, 4 rebounds, 4 dimes, 3 steals, a charge and floor burns chasing loose ball and well you get it…she was special all evening. On a night when Dani Evans had a monster evening of 25 points and 15 rebounds in consecutive games, it was not enough to save Jackson again. It was because Kristina Johnson, Faith Waverthon and Sydney Howell, had locked up the Jackson wings and threw away the keys. 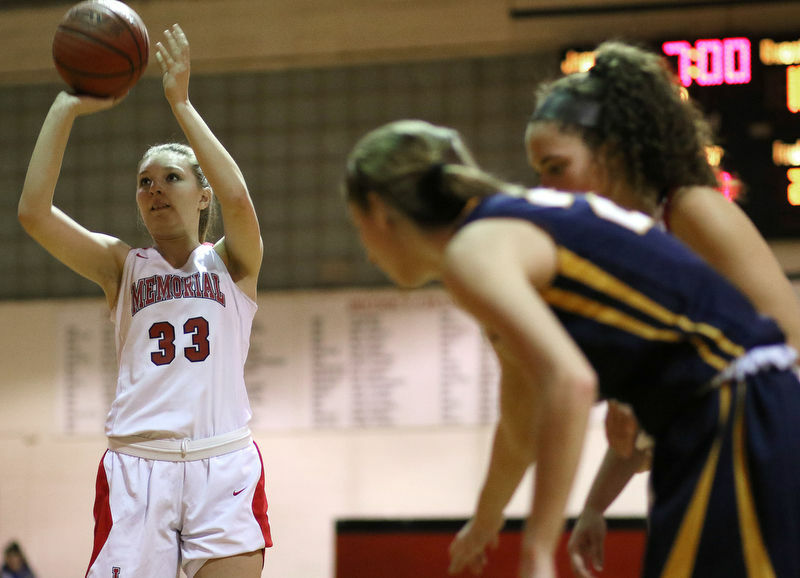 It was because Jenna Paul (19 points and 13 rebound) and Kristina Johnson (8 points and 11 rebounds) were rebounding machines all night. It’s was because Faith Wavershak did her job, defending, making the extra pass, taking care of the ball and good shots. She was a unsung hero under the bright lights. The bright lights are not for everyone. Brielle Bisogno turned the lights in her direction, early in the game. It took pressure off her teammates. The final score will read 58-53. Just another example of why stats don’t matter…but when you get them does. JAX scored 9 points in the final 3o seconds on long uncontested meaningless jumpers…TRN final points were all from the foul line to ICE the game when it mattered. “A SOUTH” is wrap except for the screaming and shouting….well TRN fans did a little of that last night too.